Looking for private in-home or in-studio Trumpet lessons? Our Lithonia teachers are ready to get you started. Find your teacher today! Check out some of our most popular teachers near Lithonia, GA including Atlanta, Marietta, Decatur, Alpharetta and Duluth. Graduated from Georgia Southern in 2001, with a bachelor degree in music education and Boston University in 2015, with a masters in music education. Have worked for Atlanta public schools as a band director since Fall 2002. Private lessons are taught on piano, guitar, and all the band instruments. I also have a deep passion for Disc jockeying with a bias towards reggae and dance music. in an ensemble to have the opportunity to play and listen to other moving parts. My method utilizes maracas and rhythm guitar, played Simultaneously to produce a full ensemble effect. Daniel was very patient and worked well with Micah for his first lesson. Daniel is an excellent music teacher! It is apparent that he is learned and passionate about his field. He relates to my teen very well. Only regret is not finding him sooner. I am a trombonist and teacher, with many years of experience teaching Hebrew as well as music. As a music teacher I have worked with children starting from private lessons to young children beginning to learn, up to master classes in universities worldwide. I love teaching, and I feel confident teaching trombone and trumpet up to advanced level. For piano, I would prefer to stay with beginners and young ones only :) - but I promise you they will have a wonderful experience (and yes, I do have 8 years of piano studies under my belt). the schools I provided classroom instruction, private and group tutoring and adult education as well as private instruction for the faculty. I have been taking Hebrew lessons with Reut for 2 years. My Hebrew has improved greatly and I have much more confidence now when speaking. She is very patient and sweet. I have been teaching since 1989 and love every moment of it! I am a woodwind specialist with my primary instrument being the clarinet. But, I also teach beginning to intermediate strings, piano, and percussion. I also have experience with teaching and tutoring reading, Spanish, and Math because of my minor in Spanish and my MBA in Finance. My first lesson in a long time! Allison is very nice and patient and we made great progress in just 45 minutes. Looking forward to my next lesson! I am an innovator of fine arts and education that is interested in experiencing unique opportunities throughout a progressive lifetime. I am determined to maintain a career that promotes creativity and academic advancement in the field of visual and performing arts. My experiences with education have gained me an interest of instructional design and organizational structure as a professional consultant that facilitates the sale of education as well. A great experience for my son. Mr. Nate was punctual and professional while still making each lesson fun enough for an enthusiastic 10 yr old kid. Online Special ! 15 minutes extra time for students who book online at no extra cost. //clinician, professional trumpet player & maker// Over the past 26 years I developed my own technique and teaching methodology how to play brass instruments the most efficient way. The lip is the sound source which creates a standing airwave within the instrument and the trumpet functions as a filter and amplifier. I also developed a special tongue technique which requires less movement when phrasing notes ( single, double and triple tongue) and therefore is faster, requires less effort, is very versatile, usable in any style of music and is much more accurate in hitting the notes. If you understand these two aspects and are able to implement them you perform better with practicing less. I cover all aspects of trumpet playing ( technique, breathing, posture, embochoure, equipment, phrasing, sight reading, improvisation, high range, endurance, sound quality, repertoire etc.). Franz, trumpeter, clinician, composer and brass instrument maker is the founder and artistic director of the internationally renowned Outreach Music Festival and Academy and leads his own group, Franz’s IDO Quartet. His feed-forward approach, building on traditions and looking beyond the fashionable trend leads to his distinctive style. Franz is constantly evolving as an artist, producer & teacher searching for new ways to collaboratively expanding the musical language. Franz was born in Tyrol, Austria. Growing up with traditional Austrian brass music as a soloist, he soon became interested in jazz. She is an alumnus of the Conservatory of the City of Vienna and received an M.S. degree from the Manhattan School of Music, where he studied with Lew Soloff. hestra, chamber groups, choral works, and multimedia events. He received commissioned works from many prestigious venues and institutions and his works were premiered at places like the 'Theater an der Wien', UN Headquarters NYC ( Year Of the Mountains Launch Event), Red Bull Hangar 7, European Forum Alpbach, Austrian Cultural Forum NYC & Washington, Lincoln Plaza etc. As a bandleader he performed at the Jazz Standard, Dizzy's Coca-Cola Club Lincoln Center, Porgy & Bess, Brucknerhaus Linz and many Jazz Festivals (Vienna Jazz Festival, Espoo Jazz Festival etc.) Franz is co-leading a brass trio with the legends Dave Taylor (bass trombone ) and John Clark ( french horn). He also has duos with percussion super star Mino Cinelu and pianist Michael Wolff. In partnership with his father Franz sen., who is a famous trumpet virtuoso in Austria and started his career in the mid 50's, Franz jun. is also hand crafting innovative horns & accessories (Hybrass, DeeflexxBrass). The family business was established in 1965. Franz is a deeply knowledgeable instructor who truly cares about sharing his expertise. Plus his easy-going demeanor makes him a great mentor, can't recommend him enough! With Mr. Hackl, you get not only world-class training and experience, but also access to the best equipment and technological skill! Franz is a master musician. As a teacher he is able to take the student from their level of playing and introduce them to new concepts on the instrument, thus raising their musicianship to much higher levels. I highly recommend studying with Franz. What makes my trumpet lessons unique is that I approach the instrument in a very pedagocial and simple approach. The basis of sound and ease of playing is always a top priority for myself and my students. I strive to make playing the trumpet fun and challenging and strive to make the best music I possibly can with my students as I know they are also striving to become a better musician and person. Hello! I'm currently a Senior studying Trumpet Performance at Kennesaw State University where I am studying with Douglas Lindsey, Michael Tiscione, and Rob Opitz. I participate in several different ensembles through my studies and also play in and around the metro Atlanta. I enjoy playing the trumpet as its been able to help me improve as a person and I have learned how to communicate musically with people in ways to which I never knew could be done before. Lessons with me will not only help one's development on the Trumpet, but also in musicianship through hands on experiences musically. Honestly could not have asked for a better instructor! I have heard nothing but good things from my kid, as well as seeing improvement in her playing. Very punctual and friendly! Each musician has a unique way of learning how to achieve new challenges! As your private instructor, it is my privilege and responsibility to help discover how to highlight each strength and improve each weakness. Friendly and professional, Atlanta-based musician looking to expand the studio of trumpet players! Feel free to ask me any questions! Very talented you lady. Was prompt, dressed nice, very polite and professional. My son enjoyed his lesson very much. She was thorough and patient, and had a wonderful disposition. My son has trouble catching on at times and even though she had to repeat her instructions to him, a few times, she never lost patience with him. He liked her a lot and wants to continue getting lessons from her. Her rates were very reasonable and I would highly recommend her to others. When hearing about the idea of private lessons, I did not realize how beneficial it would be to have my son start playing an instrument. There is always something new to learn, as Cierra is a very well rounded instructor and musician. I've never played a musical instrument in my life prior to learning Trumpet and thanks to Cierra, I was able to get the basics down rather quickly and enhance my rookie music skills within the first few weeks! I would recommend Cierra any day due to her patience and resilience dealing with a stubborn college student like myself. Take Cierra! I am a professional musician who tours the country playing with numerous groups! I have a ton of experience teaching for 10 years all ages from 3rd grade to retired police detectives. You will learn pop songs, jazz tunes, classical music, and learn to have a deeper appreciation for music! Hi! My name is Ryan McNulty and I am a professional musician for the past 10 years! I have my Bachelor's degree in Music Education and my Master's in Trombone Performance. I am also certified in New York State to teach music! My teaching style is informative and fun. We will learn music basics along with your favorite songs. For a little bit about me: I am a brass recording specialist having played trumpet, trombone, bass trombone, and tuba on numerous recordings, I am also a producer for many different styles from Sinatra swing to lofi hip-hop. My last album I produced for Sal "The Voice" Valentinetti hit #1 on the Billboard Jazz, iTunes Jazz, and Amazon Jazz charts. As your private instructor I will cater your lesson to your individual needs. I will teach you the skills that you need to become a better musician, and a better trumpet player. I take a very vocal approach to playing the trumpet, and that comes across in my teaching. You will come away with the skills and techniques needed to accomplish your goals. I am a student/freelance trumpet player in Cincinnati, OH. I am a North Dakota native, and obtained bachelor's degrees in Music and Civil Engineering from North Dakota State University in 2013. I then went on to Ohio University in Athens, OH, where I earned a Master's in Trumpet Performance. I am currently studying at the College-Conservatory of Music at the University of Cincinnati getting my Doctorate of Musical Arts. I have been teaching private lessons since I was in high school, and have taught in all the different areas of the country I have lived. I love teaching students of all skill levels, and no matter where you are starting from, I can help you achieve your goals. musicals, operas, and orchestras. I was a finalist in the small ensemble division of the National Trumpet Competition in 2017, and am an active member of the International Trumpet Guild. When I am not playing the trumpet, I enjoy playing games with friends and spending time with my fur-baby, Tacocat. Can't find a teacher in Lithonia, GA? Students are raving about their Trumpet instructors on TakeLessons. Check out some of these recent reviews. "It was a wonderful experience as my daughter enjoyed her a lot thanks Ashley"
Atlanta, GA teacher: Ashley C.
Atlanta, GA teacher: Jeremy P.
My son enjoyed his lessons with Daniel. He appreciated how he was challenged at each session and always looked forward to next lesson. ll definitely request Daniel again in the future." Atlanta, GA teacher: Daniel F.
ons every week. I highly recommend her!!" Atlanta, GA teacher: Cierra W.
ance my rookie music skills within the first few weeks! I would recommend Cierra any day due to her patience and resilience dealing with a stubborn college student like myself. Take Cierra!" "Ashley did a great job! My son felt that it was a very productive lesson!" "A great experience for my son. Mr. Nate was punctual and professional while still making each lesson fun enough for an enthusiastic 10 yr old kid." Atlanta, GA teacher: Nate S.
omething new to learn, as Cierra is a very well rounded instructor and musician." 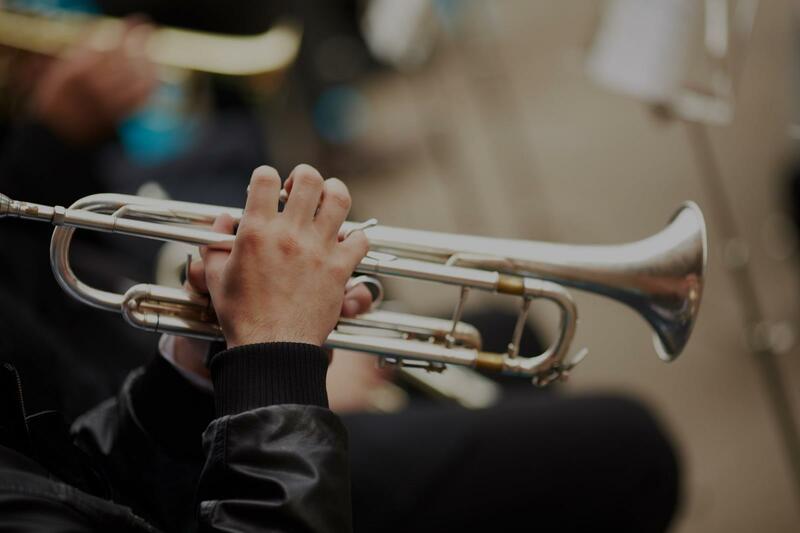 Whether you're just starting out or a seasoned pro, check out the Trumpet articles on our blog.